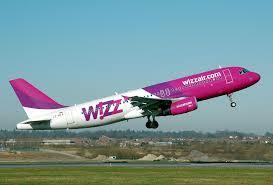 The International Airport Tuzla (IAT) will extend the range of services with four new lines with Wizz Air at the end of March 2017, as confirmed by the director of the International Airport Tuzla, Rifat Karasalihovic. Passengers that are traveling from the Tuzla Airport, besides existing destinations, now will be able to travel to Cologne, Nuremberg, Friedrichshafen, and Bratislava. Karasalihovic recalled that the airport serviced 311,128 passengers in the past year, noting that this year is planned increase, and the estimated number is 480,000 passengers. He says that everything is ready for commissioning of approach lights at the airport, but they are waiting to get rid of the existing property-rights issues. Flight check that was done on the 29th of December 2016 showed that all the technical conditions for the release of access lights are satisfactory and in accordance with all international regulations. Karasalihovic noted that with the work plan of IAT for 2017 is provided the reconstruction and expansion of the passenger terminal, which would, as he said, continue to allow this airport to handle up to 700,000 passengers per year. This year is planned to hire new employees as well, according to the needs of the smooth operation of Tuzla Airport.